Keilhauer has been honoured with two GOOD DESIGN® awards, recognizing the company’s Meander modular sofa series and Luno lounge seating. GOOD DESIGN is the world’s most prestigious, recognized and oldest Design Awards program organized annually by the Chicago Athenaeum and European Center for Architecture Art Design and Urban Studies. 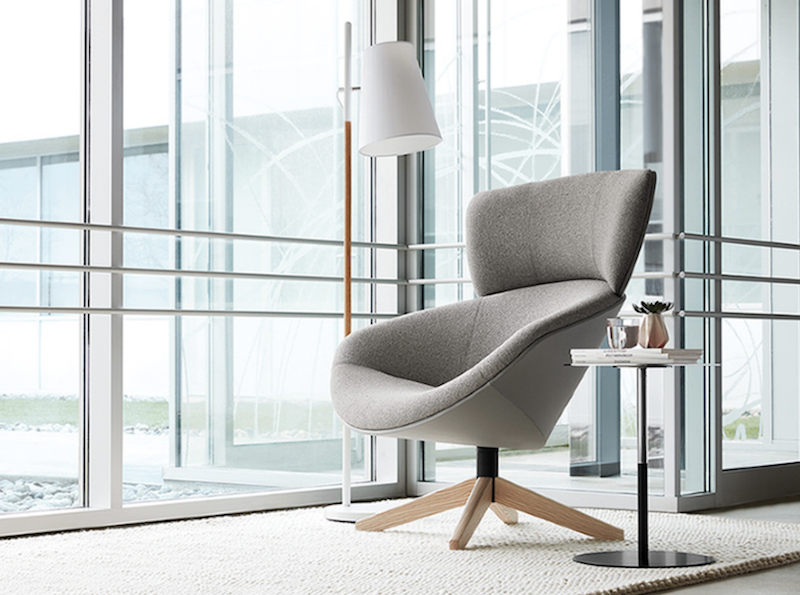 The two awarded product lines were originally introduced at NeoCon 2017 as modern lounge options. 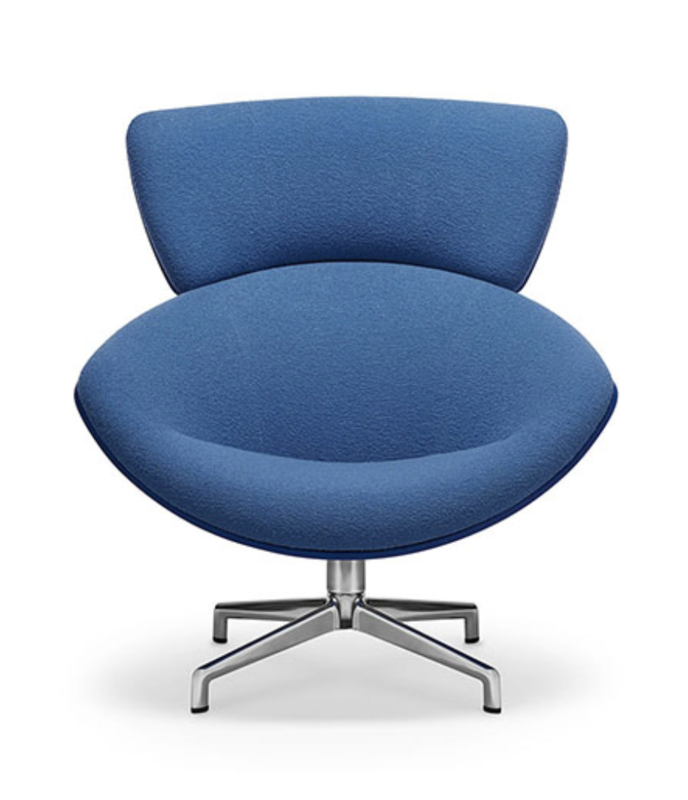 Providing cutting edge design details with an emphasis on comfort, both pieces stimulate collegial engagement and interaction in third-space work environments. Luno, a large scale, visually striking chair was designed for Keilhauer by EOOS, featuring a hard, precise outer shell and a soft, inviting, wide seat. The unique design of the award-winning seat was informed by a unique process, rather than starting with the desired three-dimensional cut pieces, the shape was developed by cutting two-dimensional patterns and folding them together, creating volume and form from tension. The end result is an iconic seat that begs the user to sink-in, get comfortable and find a posture and position unique to their personal needs. 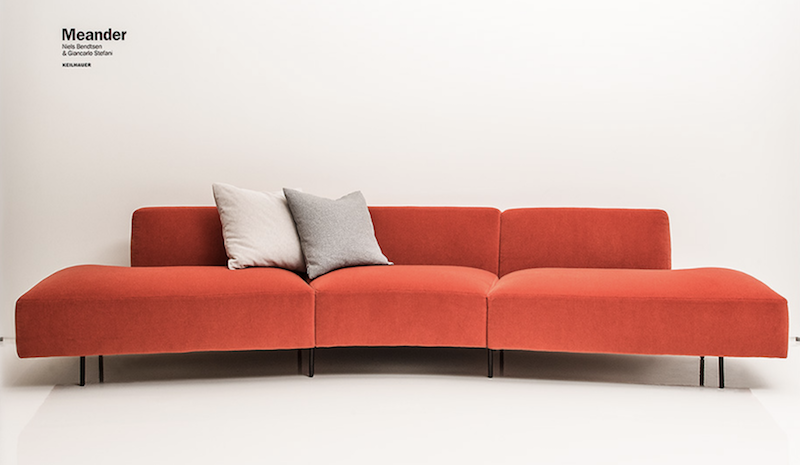 The modular sofa series, Meander, was designed for Keilhauer by Niels Bendtsen and Giancarlo Stefani of Bendtsen Design Associates. Fourteen pieces, including ottomans, sofa seats and corner pieces that curve at 70 degrees inter-connect to create nearly limitless configurations of inviting lounge areas that balances the comfort of home with high design. Clean lines and large, full, stuffed cushions appear to float above the ground on visually delicate, solid iron legs to make a relaxed but luxurious statement. Luno and Meander were selected as award recipients from over 900 new products and designs, submitted from over 48 countries. Recognition by GOOD DESIGN signifies a successful undertaking to tackle today’s design challenges with beautiful and innovative responses. Meander sofa. Image via Keilhauer.